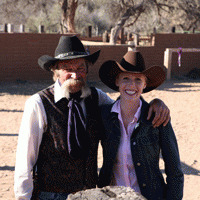 Travel with Equitrekking's Emmy nominated host Darley Newman from Canyon de Chelly in Northeastern Arizona to Cave Creek and the Bradshaw Mountains outside of Phoenix down to the border of Mexico. Starting on the border of Mexico, Darley rides at a 300-year-old hacienda style ranch in the high Sonoran desert with a real cowboy guide. On a ride to the highest peak in the area, Darley takes in views of the rolling hills of Mexico. Outside of Phoenix, Darley saddles up to ride old gold mining routes and pan for gold with a modern day prospector in the Bradshaw Mountains at Humbug Mine. Next, Darley takes off from a horse friendly bed and breakfast to ride Missouri Foxtrotters into the town of Cave Creek. This town is unique, as you can ride your horse instead of driving a car into town. 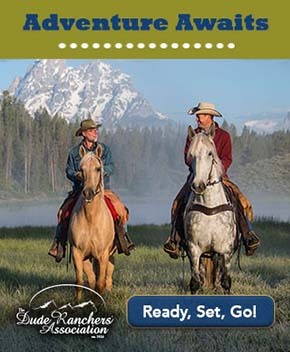 Darley and her local friends tie up their horses to a hitching post at a cowboy hangout for lunch, where Darley learns to cook a peach cobbler, Dutch oven style. Finally, Equitrekking’s host leads viewers through snow covered Canyon de Chelly with Navajo guide Lee Bigwater. 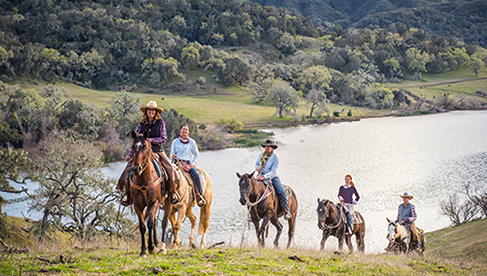 Lee grew up in the canyon and shares its communal history with Darley. The two ride to the stunning petroglyphs and cliff dwellings left by the Ancient Puebloans, also known as the Anasazi.